Email marketing topics in depth. 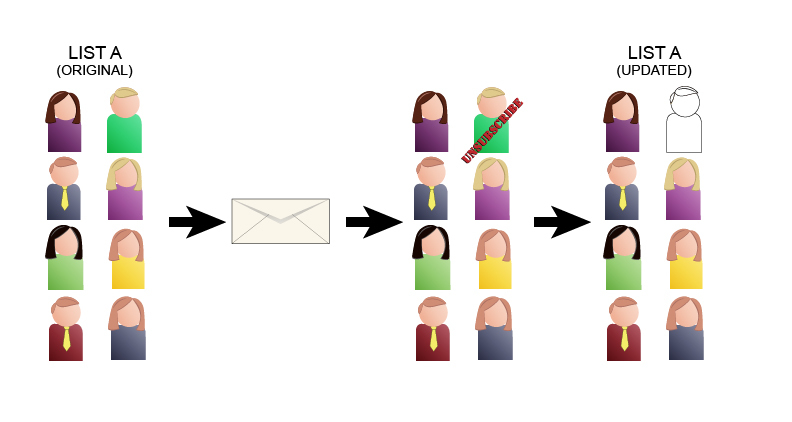 Everything in email marketing starts with your list of recipients. How your particular ESP handles lists varies from provider to provider. Here’s a quick rundown of things to watch out for when you are working with list segments. A good understanding of the various models used to create lists will go a long way toward helping you avoid problems. A question frequently asked by email recipients is, “Why does a company keep sending me email after I’ve unsubscribed from their list?” It’s a good question, and the less tolerant respondents in the audience are apt to answer, “They are violating CAN-SPAM! Report and/or mark their email as spam!” While it is easy to understand the anger anyone feels upon getting more email months after unsubscribing, this time the marketer is not entirely to blame. They may be using an email marketing solution that creates separate lists for each segment. If you are faced with this problem, here’s a brief primer on how this happens and how to avoid it. Let’s say you start with List A. This list has everyone who has opted in to receive your mailings on it. When a person unsubscribes from this list, they are immediately removed from all subsequent lists. So far, no problem. Now you create a second list (List B) as a segment of List A, and two more people unsubscribe from it. Everything seems to be in order, but because you are no longer working from your List A, the unsubscribes are only reflected in List B. We have two more unsubscribes, and as long as you are working from List B, everything is fine. But if you go back to List A to create a new segment (List C), the two people who unsubscribed after the mailings from List B (outlined in red) are unpleasantly surprised to find they are back on your list. This time, they mark your email as Spam and all future email from you goes directly to the Junk Folder. In the meantime, another person has unsubscribed. Now you have three lists all with different unsubscribe information. Pulling information in from other lists can further compound these problems. “I’ve got a great list in Excel on my computer,” someone might say. “Let’s use that too.” Unfortunately, this list has people who have previously unsubscribed from the other lists. Unless someone is riding herd over all of this, things can get pretty messy. 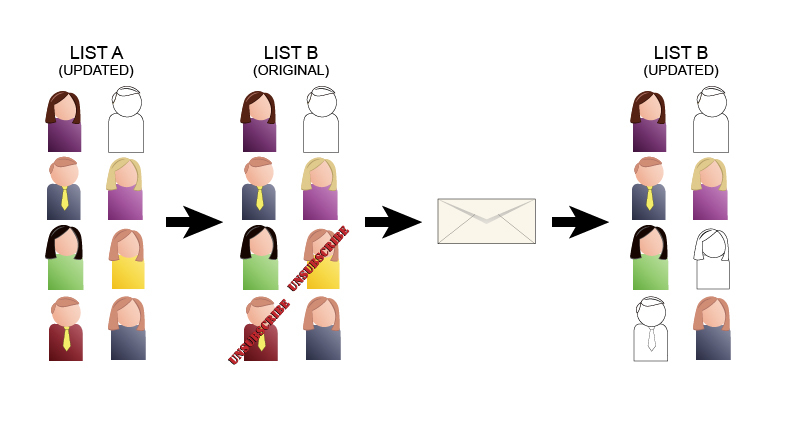 Every time you create a new list and the changing from the various other lists are reflected in it, you run the risk of more and more people marking you email as spam. At a certain point, the ISPs start to notice this and move your email directly to the Junk folder for everyone. Some ESPs solve this by treating every unsubscribe as a global action. In this way, the segments won’t matter. The problem with this approach is that sometimes you really do want to give people the opportunity to unsubscribe from a specific subset or topic. For instance, if you send out an email about an upcoming trade show, you may only want to target the people who have expressed a specific interest in trade shows. Any unsubscribes from a list like this shouldn’t be treated as global unsubscribes. They may still be interested in your products, just not in attending trade shows. By the same token, the person doing the unsubscribing may, in fact, want to stop receiving email from you and their unsubscribe really is intended as a global action. Ideally your email marketing system should be able to offer a topic-level unsubscribe, a global-level unsubscribe, or both, all within the email, so recipients can make the choice that is best for them. How your ESP handles segments, then, must be the determining factor on who you need to approach this issue. 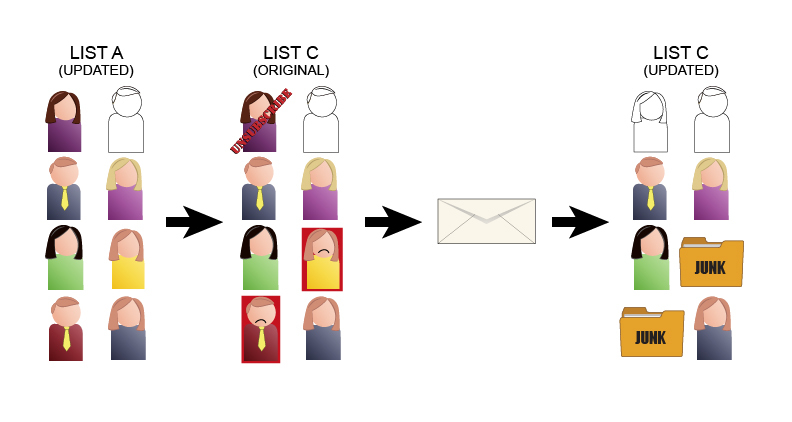 Ideally all segments pull their information directly from the master list, in which case, topically and globally unsubscribed recipients should automatically be removed from future distributions. 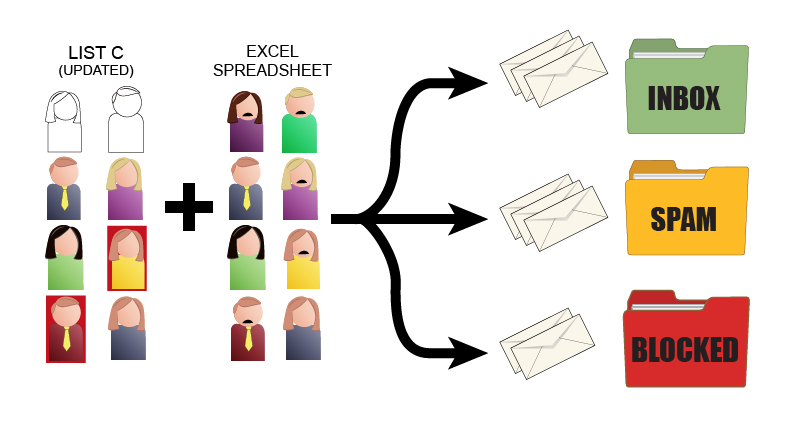 However, if your ESP uses separate and distinct lists of recipients for segments, you’ll need to stay on top of those segment unsubscribes. Check with your ESP to see if they’ve provided tools for consolidating these lists, otherwise, you’ll need to handle it manually. Set up a schedule for checking and consolidating your lists. 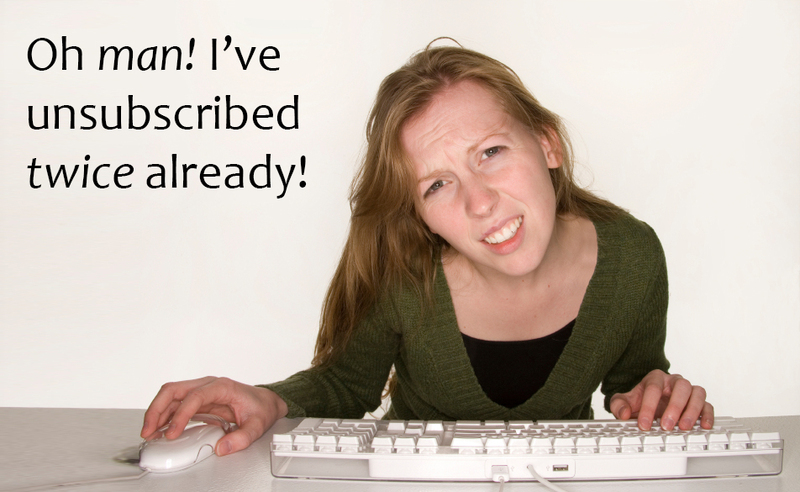 This isn’t even a best practice—CAN-SPAM requires you to honor your unsubscribes. If you don’t, technically, you are breaking the law. This entry was posted in Deliverability, Email marketing, List Management, Segmentation and tagged CAN-SPAM, lists, unsubscribe on March 4, 2013 by Jim Morton.